Do you work for Camtasia? Learning about Camtasia? We can help. "Camtasia is great for creating video tutorials and presentations directly via screencast"
I like that the screen area to be recorded can be chosen freely, and audio recordings can be recorded at the same time or added at a later stage from any other source and integrated with the screen recording using Camtasia. The screen capture and post-processing tools require a decent learning curve to pick up but once you've mastered it it's a great tool to use. Take the time to learn about the different features this product has to offer. The tool requires time to get used to using it but is well worth it once you get the hang of using the tool. The Camtasia Recorder is a superb tool for capturing screen audio and video which is a huge benefit while the Camtasia editor is useful for more complex editing. Combined, these two product features provide a much needed tool to record and edit items for presentations and knowledge transfers at my company. "Great tool for creating quick tutorials "
Camtaisia is super easy to use. Moreover, it's fun and the learning curve is minimal. I like how easy it is to capture the screen, edit the recording and spruce it up with fun effects to make the presentation more exciting. I don't think there is a way to record a mobile device screen; at least I haven't found one. "Great product that is easy to use"
Camtasia is a really easy product to use. I love it and would definitely recommend it to anyone wanting to capture and record their computer screens. I use it to record demonstrations, presentations etc. I like the fact that you can chop out sections of the video and splice the joins together to easily remove coughs and ums and ahhs etc - something most presenters have difficulty with. There's not a lot to dislike, if anything. The only option I would like to see is the ability to integrate in your webcam to have a presenter video running over the top of the screen. I haven't come across any issues with the software. It simply works. Spend a little bit of time reading through the manual etc. It has a lot of tips and tricks that will speed up your recordings. Depending on how long the video is, it may take more time than you think to process and convert the video. We do a lot of training videos and Camtasia is a really easy tool to set up and use. The Camtasia menu system is super easy and you can record your videos into any format from Mp3/Mp4 to AVI etc. "The best user-friendly editing software"
I've been using Camtasia for years and I'm quite sure it's one of the best programs for video editing. While it's not for proffesional use and I wouldn't recommed it for, for example, making a shortfilm; for those who need little promocional or instructive videos for their company it's the best option. It's best point is that it's very easy to get used to it. Its features are really visual and absolutly not complicated, but don't think this will limit your possibilties: with Camtasia, you can do a lot of things. Other shabby and unprofessional programs such as Movie Maker have nothing to do with Camtasia (don't get me wrong, Movie Maker is still a good choice for your familiar memories). As I said before, after using this program for long time, I realised that its crashes and other errors are unfortunely more common than I would like. While this kind of problems have been mostly eliminated with the latest versions, it's something you must keep in mind: don't forget to save your projects every so often so you don't lose all your work (Camtasia 9 has an auto-saving funtuonality that doesn't work really well). Don't get along with just the basic features that are commonly shown of YouTube tutorials are every knows. You won't surprise anyone with that. Instead, my recommendation it's that you should take your time to explore what you can do with Camtasia and let your imagination fly. We used to offer in-person educational speechs to instruct our new clients, but we realised that it wasn't efficient (costs were too high and that resulted in lost attendance). Finally, we took the decision to create an online training platform. To do so, we needed to split former speechs that lasted several hours into short and easy to understand videos. Thanks to Camtasia, we could do this and also, add a couple of effects that made our videos more attractive and understandable to the customers. "Camtasia best video and audio software out there. " I use Camtasia to produce videos for our sales team to provide a visual demonstration of the type of services and solutions we can offer a client. It allows us to give the client an idea of the automated intelligence and personalization that we can develop in an application without having to build the application into operation. insert and then use the icon to cut. There are layers that you can work with, too. In other words, if you have several presentations of which you want to use portions in a single presentation, you can load them all and cut the pieces of each and join them. It's really simple and fast. I think that Camtasia should offer a kind of virtual tour of its characteristics that demonstrates everything it can do in the program and how to use it. Camtasia could also improve its help section or add a how-to section to help users get the most out of the program. Ideal for videos that do not require much animation of objects. It works well for a simpler animation I really like it because of the work I do. It allows me to capture work demonstrations and then call the functions of the application. One of the main reasons to use Camtasia is to create product tours and summary videos. This allows us to easily show what is the characteristic, the capabilities and the value it brings to our customers. Then, we use these videos as training material, sales enablement materials and for marketing events. Camtasia is used throughout our organization. Anyone who is not a professional video editor, but who is looking for an economical and intuitive video editing tool, should try Camtasia. "Easy to use video editing tool that's great for beginner and intermediate video editors"
Camtasia has a very simple user interface. You can jump right into the product and create or edit a video without any training. Basic functionality for turning slide decks into a video is very simple. Adding in basic transitions, zooming in, written comments, narrations, and video effects is straightforward. I've used Camtasia on both a PC and Mac, there seems to be a discrepancy between the two versions, so there's a bit learning needed. There also seems to be random paid updates that are rolled out that aren't communicated well. I've experienced some bugginess around exporting projects to MP4 formats. It works fine sometimes, other times the file output results in an empty file. The biggest shortcoming is around the video quality or conversion quality. The quality seems to be lower than Apple iMovie. Camtasia is a great tool for people who aren't power video editors and may find more professional tools intimidating and confusing to use. I use Camtasia primarily to create videos from slide decks and edit raw video recordings to create crisp customer facing recordings. "Very easy to use and straight-forward video editing tool"
The best thing I like about Camtasia is how easy it is to edit videos and create slideshow videos with my photos. It is like the built-in Windows video editor but in a better scale. I like that they added additional features that you can only find in a full-blown editing software like in a studio. With Camtasia, I can create my screenshares and edit it seamlessly. I create tutorials most of the time for team, and I like how they integrate the screensharing platform with the editing software. From screensharing, I can readily edit and add annotations and additional images for presentation purposes. I also like the audio correction tool, and how it enhances your voice overs. Camtasia is everything you may ask for a video editing software. Probably they can add more transition effects and a marketplace for media add-ons for people loyal to Camtasia to select from. But aside from it, I have nothing against to say with Camtasia, since they made it a great software and the team made a fantastic job. I totally recommend people to use Camtasia for their video editing needs. They have a quality team that improves their software every new update is released. A lot actually. I professionally make video tutorials, and the last thing I need is an incomplete tutorial or inaudible one. Camtasia has a lot of features like sound correction, which reduces the background noise and enhances the audio quality so the video can be more appealing to the viewing public. It makes my job as a video tutorial maker easier to do. "Excellent choice of software. . .especially for beginners and for experienced users"
I like that it combines the ability to edit and produce a quality product for our clients that looks professional. I haven't found anything that I don't like, yet, but I'm still looking. So far, it's perfect for our office. If you are looking for a relatively easy to use and fairly inexpensive way to go for your Windows-based software, I would invite you to take a look at Camtasia. I have found that it is wonderful and I personally have recommended it to colleagues over the course of the past year and would continue to recommend it today and tomorrow. The business problems I am solving with Camtasia is being able to market our firm in the best ways possible through producing client-specific videos on DVD. The benefits are enormous! We are connecting with our clients in the best of ways which allows us the ability to maintain our current client base and receive new prospects because of word of mouth and recommendations from our clients. "Customer service went above and beyond!" Customer service and ease of use of the product. I'd like to be able to save to cloud-synced files without Camtasia crashing. If you find your system running slowly on Camtasia, it's not Camtasia. It's likely your system. I was having issues and contacted their support. They helped me not only troubleshoot my issue, but also helped me understand my own system and how my system's graphics card was not meant for video editing. I'm so grateful for their help because I honestly had no idea of the standard of graphics card today compared with what's in my 2011 MacBook Pro. It was eyeopening and very helpful. I use Camtasia to edit my course videos and turn videos into podcast episodes. "Camtasia - More than just a capture tool"
Camtasia is more than just a great screen capture program, it's also a powerful desktop editing application. The Camtasia 2018 version works great for capturing on-screen information such as software product demonstrations. But what works great for me is the editing capability. I use Camtasia rather than other desktop editors because of simplicity of use. While it may not be as powerful as other desktop editing applications, the ability to quickly put a video clip together more than makes up for the fewer bells and whistles. Earlier versions of Camtasia sometimes proved unstable. Prior to moving up to Camtasia 2018, I occasionally suffered shut downs and system lock-up. In the middle of an edit session it's that last thing an editor needs. But I've found Camtasia 2018 to be rock solid. I'll often build 15-20 layers (audio, video & graphics) and the latest release has proven very reliable - much improved performance over earlier versions. For producers Camtasia 2018 is a simple to use, but powerful, desktop editing application. It's a great tool for quickly developing content for client review. But it's more than that. The built-in encoder offers many options for outputting video that can be posted directly to the web or included in other projects. Along with Camtasia's long history as a screen capture tool, Camtasia 2018 adds rock-solid editing capabilities. As a media producer my role is to create content, secure approvals, and pass along to a video post team the details they need to create a finished presentation. Camtasia 2018 allows me to focus on content, message, and storytelling without getting bogged down using a more sophisticated desktop editor. I've access to several other editors and I use them for some projects. But, when I need to quickly deliver content for client review, or to provide post production with edit detail, Camtasia 2018 is my go-tool desktop editor of choice. "Super Robust for a "Non-Professional" Video Editing Software"
I learned how to edit videos using Camtasia, and they made that easy with their excellent technical support and demo videos. Now that I somewhat know what I'm doing, I really like the logical way they have set up the functionality. I have gotten rave reviews for the videos I've produced with Camtasia and I really feel like they made me look good, because I'm not a professional editor at all. It's kind of clunky to adjust timing of clips, having to constantly zoom in and out to be able to select whole chunks of the video. There may be an easier way, I just don't know it. Also, I wish they offered more pre-done animations. They gave us a holiday gift of a ton of awesome animated backgrounds and intros, but they are hard to edit and use. I have to revert to using an online animation program, downloading into a MP4, then importing into Camtasia. Definitely not the most efficient way to work. Marketing materials need to be in video format for people to consume them - no one reads anymore. So being able to quickly and easily create and edit videos myself is super important, and Camtasia allows me to do that. Much cheaper than hiring a video editor! There are several features that Camtasia has that make it stand out. My favorite thing is the output - the final product is awesome and the videos look like they were professionally developed. My favorite feature is the ability to highlight and magnify things in the video. This feature has been extremely handly because it allows us to highlight important parts of a video that we want to stand out and for people to pay attention to. I also like that you can record sound for a video right from Camtasia. Camtasia also offers great sound editing capabilities. It allows you to work with the sound to make it exactly what you want. You can make it louder or softer and cut out any static or background noises - a feature that has proven convenient many times. I dislike that Camtasia doesn't offer features that allow you to create or product a more interactive video. The only thing that I have found lacking in Camtasia is being able to incorporate a question and answer tool in my videos. Many of the videos I create at my company are for training purposes and question and answers are important for this type of training video. I would like it if there was a way to pause the video and have questions appear that allow users to actually answer the questions. This in my opinion would make Camtasia perfect and meet all of my companies needs. I recommend Camtasia because it offers just about every feature you would need to product professional videos. It is also convenient because it is compatible with so many programs. For example, it is compatible with PowerPoint so, you can import a PowerPoint presentation in to Camtasia providing you a good base for a video. Camtasia is also compatible with SnagIt so, you can record how to videos with SnagIt and with the click of a button import it to Camtasia. Camtasia also offers a ton of how to and training videos that help you to learn the product in order to get the most out of its features. Camtasia allows my company to save a ton of money by making it possible for us to product videos in house. Before using Camtasia, we would have to hire a company to produce our videos and this cost a ton of money and a lot of time. We would have to work closely with our third party vendor in order to get the final video product to meet our company standards. Camtasia allows us to do it all in house which ensures company standards are met the first time. It also makes it a lot more inexpensive to be able to create the videos ourselves. I typically use camtasia to record virtual presentations. I like that when you are pointing to something on the screen within the presentation, you can set it to detect that and it will zoom in to what you are talking about. I also really enjoy the cursor call outs feature. I find it a little bit difficult to use. It is definitely not that user friendly for someone who does not have much experience with those types of software. I do however, take advantage of their online training. If you go to their website, they have a few resources to learn more about the product. If you do not have experience, they do offer online training so I would take advantage of that. I also highly recommend using the cursor call outs feature. I record product presentations and virtual training for my company and then share them online for our clients to easily access. This is very important to our company. We need a product that we can easily share online. Camtasia is that product for us. "Affordable Editing Tool for Marketing Videos and Social Video "
I originally used the product to develop online courses for Udemy. The platform was very easy to use and trying to learn another editing platform would have taken too much time. I have noticed over the years that it has become the go-to editing tool for many YouTubers and for Udemy instructors who create screencast and online courses. What I appreciate the most about the editing platform are the shapes and the cursor callouts where you can point to objects and text. I like that you can easily upload it and have different storage options and you have several ways to publish it. Another advantage are the quizzes that you can incorporate into the video. The Camtasia editing tool isn’t necessarily a robust editing platform, the special effects are quite limited, and the transitions aren't really smooth at times. When you start using Camtasia, visit the Youtube channel to watch the quick tutorials, and read the blog posts. Once you do that you should be good to go. I originally used the product to develop online courses for Udemy. The platform was very easy to use. Most recently, I have used it in a corporate setting to create short one minute videos to introduce a selection of taped events for an online professional development platform. These videos were intended for internal training at a nonprofit organization. It was an upgrade from using PowerPoint and Windows Movie Maker because it offered more tools for transitions and titles. "Useful & Creative software for screen casting & video editing"
The best software for those who want to do screen casing & professional recordings. you can easily create or edit Professional Videos & Screencasts using Camtasi. Capturing the action on your computer's display and converting it into a video file is the best function of Camtasia. You can choose to record your entire screen or a specific region or a window or a application. Additionally, Camtasia can also record your face using your computer's webcam. It does not support exported libraries from other systems as it recommends original paths for exported media. Also you can't schedule an automatic recording without digging deep into the system files. Great software for screencasting & video editing. We are making video tutorials for our products using Camtasia. We found it really useful & beneficial for making more professional video tutorials. "All in one recording and editing tool. Would recommend!" Intuitive interface. easy to use! I'm not a video pro but I found it easy. Nothing so far. I'm a new user for Camtasia but experienced with light video editing tools. buy the full version to get the full capabilities and remove their watermark. This is a must for any professional marketer consultant like me. I'd also recommend watching their tutorial videos. Camtasia was recommended to me by a well respected colleague so I didn't do much shopping around. I was going to go with the trial for a month, but I was immediately impressed with their navigation and features so I decided to upgrade the same day I signed up for the free trial. Looking forward to learning more about this tool for my video production needs. What I like best about Camtasia is how you can edit both sound and video separately from each other and get a professional final product. For example, if you have a video file that has no sound, you can use Camtasia to add sound. Sound can be imported or can be recorded directly from Camtasia! Another one of my favorite things about Camtasia is how compatible it is with PowerPoint. It is so easy to transfer a PowerPoint presentation to Camtasia and turn the PowerPoint into a professional video. I have made so many great products with Camtasia. It has so many professional features that allow you to do almost anything that you can imagine with a project. Camtasia can be even more time consuming than necessary. The program also takes up a lot of space on my computer hard drive. I also dislike that - unless you have had training or are an experienced user - Camtasia is difficult for the average person to be able to use and get the most out of its features. Camtasia has so many incredible features that the average user wouldn't ever be able to take advantage of because of the programs complexity and lack of instruction or help section. I highly recommend Camtasia for any business/person that creates videos. While the program can be complex, it offers every feature that I have ever wanted when producing a project. From sound effects and inserting text and shapes to blurring out or focusing in on portions of the video, Camtasia just has it all. I do recommend spending time to learn about Camtasia and all of its features in order for you to be able to get the most out of what it has to offer. Camtasia has allowed us to produce very professional videos. Before Camtasia, we would have to hire an outside company in order to produce are videos. We would have to work very close with the third party vendor in order to get the final product that met our expectations. Now that we have Camtasia and are able to develop our videos in house, so much time and money has been and will continue to be saved. "Record Screencasts and Edit Any Kind of Videos"
I like the fact that Camtasia has 2 main functions. It can record screencasts, but can also be used as an editor, for just about any kind of video, including ones that were made with other software/devices. I also like the timeline layout, allowing you to easily see how the parts of the video fit together, add transitions and captions, etc. This software uses up a lot of resources on a computer. When editing, there is usually a lag that makes the video look choppy when you are trying to look at the edits you've made. So sometimes you might not catch that a transition wasn't smooth or that the audio/video are slightly out of sync until you've already saved the final video and watched it in some other software. You may find additional uses for Camtasia beyond what you bought it for. You can record screencasts, edit other videos, and even make videos in other ways. It has a plugin that works with PowerPoint to create videos (with narration) from your slides. Or you can use any presentation software, and just record the screen while you run it, to turn it into a video. Camtasia gives us the ability to edit videos taken with a camcorder, combine different parts of footage or re-order it, add opening/closing titles, and add captions or overlaid images as needed. It has allowed us to add much more content to our YouTube channel. Easy to create very polished videos – the interface is simple but pretty intuitive and you can actually build some pretty incredible looking stuff with it. We use it in-house to build training videos as well as edit down podcasts and webinars that we hold. We also have used it to build videos to demonstrate our product. Anyone can sit down and start putting videos together pretty intuitively. Doesn't have a lot of advanced features and sometimes the interface is plain clunky. For example, clicking the wrong spot will have it creating markers instead of extending a clip, etc. Live frame-by-frame previewing of clips is not possible by just hovering over the clip which is a pretty standard video editing tool in most things but... eh. It's just beyond the scope of this tool. If you need advanced video editing features, I would suggest going with something beefier. Camtasia is great for simple stuff like video presentations, video blogs and youtubing. Anything more advanced like real cinematography and such is beyond the scope of this editor. Ability to create short videos with professional editing in a clean interface. "Amazing Way to Create Professional Videos"
I like that Camtasia can be used for creating all types of videos - from simple videos to complex videos and that all people can use the program - from beginners to experts who need more integrated, enhanced features. Camtasia has the basic features that one would need to produce a video and offers more technical options for those people who really want to spend time developing a video. My favorite thing about Camtasia is its compatibility with PowerPoint. I'm able to create a slideshow in PowerPoint and export it to Camtasia to convert it to a video format with ease. This has been a good, helpful thing for my company as we are always creating presentations first in PowerPoint that need to be converted to video with some enhancements made and sound added. Camtasia allows us to do all of this in house. Since Camtasia offers so many enhanced and advanced features, it can appear quite intimidating to those users who aren't familiar with the program. For me, this is a downfall because it takes time to train new employees or users on how to use the program. I think that Camtasia should offer a type of virtual tour of its features that demonstrates all that you can do in the program and how to use it. Camtasia could also improve its help section or add a "how to" section in order to help users get the most out of the program. 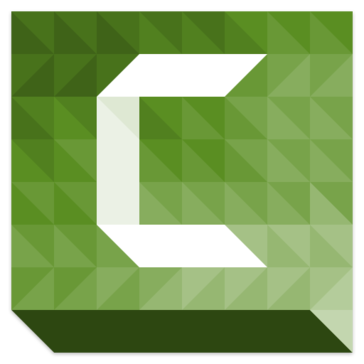 I recommend Camtasia for any company or business that creates any type of training or video. Camtasia offers features that are advanced, allowing you to develop professional material that reflects your company standards. With Camtasia, you will no longer have to rely on a third party to create professional videos. Camtasia is also great because it is compatible with PowerPoint and offers SCORM capabilities. It even allows you to add closed caption to your videos. It is a good product that I would recommend for all video purposes. Camtasia has been beneficial for us because it allows us to develop our videos in house and therefor customize them to our exact specifications. We no longer have to depend on outsourcing to create our videos that can be detailed and require frequent updates and adjustments. This has saved my company a considerable amount of money while ensuring that we can make those updates when they are needed without having to go through the channels of depending on and waiting on an external source to work with us to make any changes. I use both Camtasia and Adobe Premiere. As someone who is not the expert when it comes to doing all the crazy stuff with Premiere, I prefer Camtasia because it has every single feature I need to work on my videos. When I turn on Premiere, I feel like I'm lost in the desert. Camtasia is for beginner and expert alike without having to stare at all the features of Premiere that you might never use in your life. Premiere is a much more powerful tool, but Camtasia is all that you need for your video production if you are just trying to put a video together fast and quickly while still getting some of the best features of Premiere. I love Camtasia. I dislike nothing. I have used Camtasia since version 5, and the latest version is absolutely wonderful with all the new features. If you need a video editor that'squick and fast, Camtasia is the best one I know. The price is not that bad either if you work for an educational institution. You can get a discount through the Education price. Version 9 has gone a long way since Version 5. I think Camtasia will be even better in the future as they add more features! I work a lot with videos. I do editing and green screen. It's great to do everything I need with my videos. All the features are there without having to look all over. "Make tutorials and upload them to the internet"
I like that I can adjust the range of the screen I want to be recorded, I can make the focus of what I want to be displayed on the screen, its graphical interface is quite understandable, I can start recording my screen, pause it and restart it without losing value is what I previously captured. I must pay a license to use this software. Consume resources considerably from my team, to have an open editing software and want to record screen with camtasia it shows a kind of lag, you must have a team with enough resources to make optimized use of this tool. It is a powerful tool to record audio, videos and then with the same software to do the editing so that videos are absolutely well explained and professional. Training tutorials on the use of tools for staff training are carried out, the videos are edited and rendered thanks to camtasia studios, they are rendered to make them lighter and to be able to share the training videos in our help desk platform. "Good for beginners, not beefy enough for a pro"
I like that Camtasia is completely intuitive. I never had any formal training on the program (I'm mildly techy and I do understand design programs) and I was able to get up and running without much consulting from professor Google. I have used this for tutorial videos (screen share) in the past and I now use it for photo slideshows and short clips set to music. It works well for the basic video editing I do and the price is RIGHT. For me, there is not much to dislike. However, I give this 9 stars because it's not for a video pro. I have had a few hiccups with the program freezing/not saving when I try to do larger, longer videos. Camtasia is best for short, simple videos. If you're looking for an inexpensive option to create in-house videos. This is it. The quality is much better than you'd expect at this price point, but it does have its limitations so don't expect all the bells and whistles of a more expensive, not as user-friendly product. Camtasia is a totally cost-effective solution for businesses who want to dabble in video but can't commit to a huge budget. It's also super simple so I'm able to throw together videos quickly if need be. "Everything You Will Need to Create a Video"
Camtasia has such a variety of features that I have yet to need one that it didn't have. It has the simple, basic features and enhanced, sophisticated features - this is why I enjoy it so much. The thing that I like the most about Camtasia is its compatibility with PowerPoint. As far as for what I need to create videos for - which is mostly for training purposes - Camtasia's compatibility with PowerPoint has proven most important. It allows me to develop a training using slides in a PowerPoint presentation and upload it to Camtasia with one click of a button. Once a PowerPoint presentation is uploaded to Camtasia, I'm able to turn it into a video, add sound and callouts - along with several other features. I have yet to need a feature that Camtasia lacks with one exception - quizzes. It would prove to be very beneficial if I were able to incorporate interactive questions into a video in Camtasia. 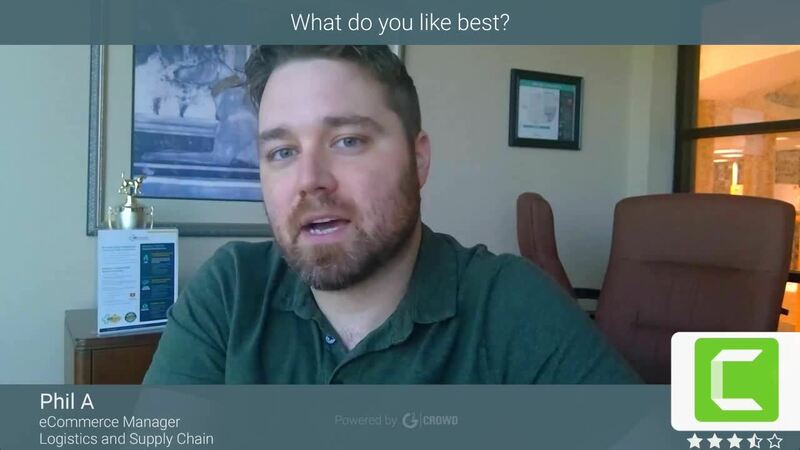 As far as for creating training videos - being able to insert interactive questions in a video would help to ensure the end user is following along, comprehending the information being provided and paying attention. The only other thing that I think could improve Camtasia is if it had an introductory, instructional video that detailed all of its features. Since it has so much to offer, I have noticed that many users don't get as much as they could out of the program simply because they don't realize all of the things that you can do. I recommend Camtasia for any company that creates any type of video. It is great because it is compatible with so many other programs like SnagIt and PowerPoint - making it easy to upload files from one program to another. Camtasia is also good because it allows you to record audio directly in Camtasia or upload audio from another program. Once you have the audio component, you can edit it directly from Camtasia - increasing or decreasing sound and background noise. Camtasia makes for a professional final product. Camtasia has allowed us to keep the production of our training videos in house. Before Camtasia, we would have to constantly work with a third party vendor in order to develop these training videos. This not only took a lot of time but it cost a ton of money and in the end, the product was rarely exactly what we envisioned on the first attempt. We would have to constantly go back and forth with the vendor before getting a usable final product. It was basically a full time job just to work with a vendor to develop these videos. Now that we do it in house, it comes out right the first time and saves us a lot of stress and time. "Excellent Easy-to-Use Video Recording Software"
Love how straight forward and easy it is to use Camtasia. You can get a lot done without having any extensive training or having spent tons of time using the product. It's very intuitive and simple to use. While there are more robust programs out there, it is very nice to have a program that, out of the box, is easy to use. Camtasia also provides great, easy-to-follow, tutorial videos online for those who need further explanation and walk through. By nature of it's simplicity to use, it is not as robust as other programs. Anything in the software that would allow for faster exporting would be greatly appreciated. Capturing screen recordings, then editing videos to add notations, visual and audio effects, and finally exporting out to a variety of locations. Love being able to record what's directly on my screen in a simple format. "Camtasia: the leading screen recording tool"
- Over the years, Camtasia has evolved from a simple capture tool into a complete editing package. - Everything can be recorded at a time, screen image, computer audio, webcam image, voice narration, mouse movements, etc. But later, you can modify or add more elements. - Its ability to import almost any kind of format, even .ppt files. Many software of this kind do not import ppt files. - The possibility to modify each image, shape or text independently, which makes Camtasia a different and versatile tool. - Its interactivity options, specially the ability to include quizzes in the timeline. - I think its price is quite high having into account there are other several free tools. - It is simple; it does not still allow using mask with elements, like Premiere does, although allows chroma-key effects. - I miss more special effects to work with video objects. I like best that Camtasia offers such a wide variety of enhanced features. My favorite feature might be the Voice Narration. Voice Narration allows me to narrate my video right from the Camtasia platform. I also really like that I'm able to add, create or import closed captions to my videos. This is important to my company as we must comply with regulations that allow all users to have the same experience when viewing a video or training. There is not much to dislike about Camtasia. If I had one complaint it would be loading time. Depending on the size of the file you are opening, Camtasia can take anywhere from five to ten minutes just to open. Another complaint would be the time that it takes to convert files to MP3 or MP4. Even if it is a smaller file, it can take up to an hour to convert. I definitely recommend Camtasia to any company who creates any type of video or training as it provides enhanced features that basically allow you to do anything that you could imagine with a video. It is also great because it allows you to easily convert your final product to any file type that you need. It is also great because it works with PowerPoint - making it easy to convert PowerPoint presentations into enhanced video files. Camtasia has allowed us to develop videos and training's in house, opposed to having to hire a vendor to create a product for us. Hiring and working with a vendor used to be extremely time consuming and expensive. It also meant that we had to go back and forth several times before the final product met our specifications. Camtasia has allowed us to create it all in house meaning that we have a final product that is exactly what we need and meets all specifications the first time. It has also saved a lot of money. "Pro results with simple steps"
Camtasia is one of those programs that are so well designed that they look so simple to operate but at the same time, they can deliver a high-quality end product. Camtasia is packed with several tools that make video editing a breeze without compromising quality. Every single time that I have used Camtasia, I end feeling satisfied by the quality of the video produced in record time. There's not much that can be criticized of Camtasia. Occasionally there is some unexpected shutdown of the program when rendering. But most of the time, the program is highly reliable. Additionally, I believe that the addition of new video transitions will be very appreciated by all of us who use Camtasia regularly. In this visual society, the use of audiovisual tools such as Camtasia is essential if you want to be at the top of the game. I use it constantly to record my screen and make presentations with those recordings. Also, I use it to make videos of presentations or promotions of products I have for sale. "I'M SURE IT IS A WONDER!!" Its ease, it's easy to use, install, open and get going. When you first enter, it scares you a bit, but you realize it's not that complicated. The interface is beautiful, it is organized in its proper measure, showing very useful assistance panels, the main thing is the timeline, copy, paste, cut. I can drag the video clips to the timeline and start working. I add photos when I want, I edit the audio, I separate it from the video even! I work with snacks, I edit the speed of the videos, I create efficiently with an excellent reproduction of a video to promote later. In half an hour, an hour, I finish my videos for the university, and for my work. The reenderizado is very solid, leaving a good final result. It has several video extensions to reender, WMV, MP4 among others, always use .WMV, better quality. You can upload it to YouTube if you're a content creator like me. It's not heavy, it's just as I told you, install and start working. I like transitions, fluid, quality. The preview, how to forget it, you have the advantage with this program to see your progress in a preview, so you will realize how your project is running. If you are tired, you do not give anymore, you can save your progress, this is great! then you take back Or if the project is very large, see little by little, saving and editing, you can save your progress on the desktop and continue it later. There are not many transitions, I would like more. Buy a license as soon as possible, it will serve you in your projects, you can attract clients and express yourself artistically, you know that the audiovisual edition is an art. I RECOMMEND IT TO YOU! MAXIMAL QUALIFICATION. Editing problems, being so easy to edit, I have saved a lot of time with jobs. My friends, family and colleagues can watch a quality video, this has helped me a lot to promote myself artistically, at the level of graphic design. Audiovisually with my designs in the video, which is combined in a whole work of art. I have saved a lot of editing time, so I can deliver jobs for academic and business projects on time. It has helped me to make my website more entertaining, I have created video clips and tutorial videos for my website. My clients hallucinate with the information, they are videos that stand out a lot. "Everything I Need to Create a Professional Video"
I like Camtasia more than any other video creating program I have ever used. I like most that it has many different features that you are capable of doing anything you need to do to a video. From adding sound editing sound to recording sound directly from Camtasia. From making clips and edits to combining sound and video. From adding photos and text to blurring out portions of the screen - I have yet to find something that I couldn't do with Camtasia. I like best that I can use this single program to do what use to take me two or three programs to complete. The only thing that I have found to dislike is that - unless you have training on how to use Camtasia or you have spent hours teaching yourself - you won't be able to get the most out of all of the features that Camtasia has. I have found that many users are only using the most basic tools and features that Camtasia offers simply because they aren't aware of all that the program can do. I think that a virtual tour of Camtasia and its features would really help to enhance the user experience. I recommend Camtasia for all of your video creating needs. It is great because it offers a totally free trail - a trial that allows you to fully experience all that Camtasia has to offer. This is really good because you can get a feel for the program to see if it is something that will meet your needs. While Camtasia can be complicated because of its complex features, it is truly worth learning to use. Camtasia has allowed us to create many of our videos and tutorials in house, opposed to having to hire and work with a third party vendor to develop and produce our videos. Not only has this saved us a lot of time that we don't have to work so closely to convey our vision to the vendor, but is has also saved a lot of money being able to develop our own vision without having to hire a vendor to do the job - a job that usually takes a vendor 40 hours plus per video to create. Camtasia makes it simple to convey educational content to any audience, no matter what age-range. The videos easily engage students, and when the students don't understand a concept, they don't have to feel embarrassed. The students can simply rewind the video and listen, again. Students can even take mini-quizzes along the way, and teachers can see their responses. It's an amazing program! In the date-driven educational world today, I can show that my students are learning before they are tested. I dislike that I don't have the time in my teacher's schedule to utilize all the bells and whistles Camtasia offers. When I can, I go back and add more graphics and spiff up a presentation. Camtasia offers so much, I always feel like I could improve my presentations even more. Be patient with yourself. This program offers so much. You won't become an expert at first. Save yourself some time by writing a script before adding your voice. Students can even take mini-quizzes along the way, and teachers can see their responses. It's an amazing program! In the date-driven educational world today, I can show that my students are learning before they are tested. "Camtasia for casual, yet professional-looking vids"
Provides a solution to easily create videos, with titles, fades, overlaying audio tracks, all within my budget. There's nothing to dislike. I'm happy with everything I use it for. I use it maybe once a month, so it's easy to forget its capabilities, but pretty easy to rediscover them. If you have simple drag-and-drop requirements ... multiple video segments ... multiple audio segments ... then this product is really easy to use. I can take video with my iPhone, bring it into a Camtasia project, overlay titles, build fades and dissolves, add (overlay) multiple audio tracks, narration, music (of my own), and output in format(s) suitable for playing directly or online. I make parallel audio recordings while shooting the video, then drop those tracks and slide them to match the video, and it all magically works. The application is easy-to-use and has all of the features I need in a program of this type. The screencasting is very easy and editing it after is not difficult. I feel like I am producing quality products with Camtasia. I have not experienced anything that I do not like. The application functions as I want it to. I have had no issues running the program, editing or sharing videos. Camtasia is a tool by TechSmith that allows for great functionality. They have other video and screencasting solutions that are great, so it's obvious they know what they're doing. Camtasia combines screencasting with video editing, so the final screencasting product is as polished how-to video for your customers or users. Considering all of the available features (interactive hotspots, for example), the price is very reasonable. Users also get access to screencast.com for video-hosting. I can share learning and information with others easily. I can anticipate users' questions and include them in the screencast and completed, edited video. I am serving people in a large geographical area, so I need to present professional development virtually. Camtasia provides that. "Great Tool for Editing and Producing Videos"
I love Camtasia because it has features that allow me to do everything that I need to do, all in one place. I'm able to import a video - even a PowerPoint presentation - and make enhancements all using Camtasia. I like best that if I import a PowerPoint presentation or a video that doesn't have audio, I am able to import a separate audio file or record audio directly from Camtasia and add it to my video. I also love how easy it is to clip portions of video and/or audio files and seamlessly add them together to create the perfect final product. The only thing that I have found to dislike about Camtasia is that it isn't as user friendly as it could be. Camtasia has so many amazing features but the average user wouldn't be able to get the most out of the program unless they had some sort of training or spent time learning the program. A program like Camtasia that has so many features can be complex for the average person. I think the "help" portion of the program could be enhanced - possibly offering a virtual tour of the program would enhance the user experience and ensure user's get the most out of the program. I highly recommend Camtasia for anyone who is looking to create a professional final product. I recommend that users put time into learning about Camtasia and all of its features because it has so much to offer. Whether you have a video that you want to product and edit or if you want to record a video and work with it right in the Camtasia platform, this program will meet all of your needs. Camtasia allows us to use one program to do what used to take several programs to accomplish. This saves us time and money since we only have to purchase a single program to create a professional final product. Camtasia allows us to record and edit video and sound, enhance video and sound and add features to recordings. If we have something on a recording that is private and we don't want visible, Camtasia has a feature that allows us to blur out a portion of the screen without having to delete a piece of the video. Camtasia also allows us to highlight pieces of recording and even add text and photos. This product is an excellent value for the money it costs. Easy to learn to use, short learning curve, yet it has many features that are found only on more expensive products. For those who are just getting into producing video recordings, this product is a great way to get started. We are able to quickly edit daily recordings of classes for uploading to cloud servers. Camtasia allows us to do this very efficiently, using lower cost computers than some of its competitors. We are also able to use this to create short training videos to demonstrate how to accomplish certain things. "I´m able to create powerful video recordings when I use Camtasia." I can say that I completely love how easy is to create video explanations and video classes when I´m using Camtasia Studio. It´s really as easy as opening the software, activating your microphone, having ready the slides or content you´ll be recording, and finally clicking on the button called “record your screen”, I think that recording and creating classes and explanations was never so easy!. Then, everything else becomes a piece of cake because you know that you´re using a super reliable tool that will help you export your videos in HD quality. I hate that, very few times, the software has stopped recording when I´m in the middle of a long video presentation, this is really frustrating, especially when you´ve been recording for over an hour!. Another thing I greatly dislike about this software is that, a few times, the voice and video become a bit unsynchronized; this is very annoying, especially when you need high accuracy for the voice and images inside your videos. This happens when you produce long videos. Camtasia is a useful tool that will help you create videos for yourself and your audience. If you´re really thinking to get this software, I think it´s wise that you´re sure you have a modern computer with a great video card and at least 8 GB RAM MEMORY; otherwise, you´ll come across many issues and a lot of frustration when using Camtasia because the software will sometimes freeze and fail, and nobody wants that. I can record my own videos to offer my own services and classes. I can also create and sell videos for my clients, in a very easy way. As everybody knows, every business needs a good quality video to get across their point to the world, and Camtasia is a great tool that will help you do exactly that: create a high quality video that will show the world you´re a quality business.